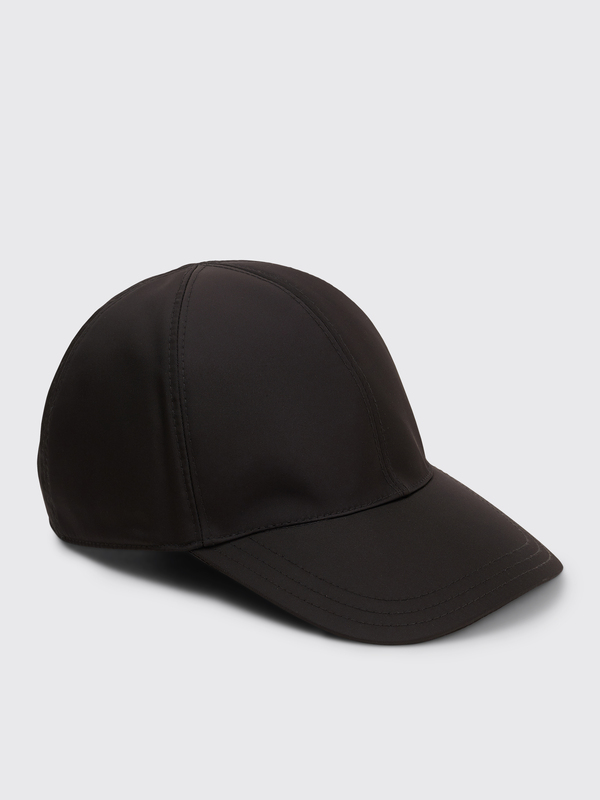 Cap from Prada six panel style made from nylon. Tonal top stitching, logo leather patch with embossed logo on the side and an adjustable backstrap with leather strap and metal clasp. Fully lined. 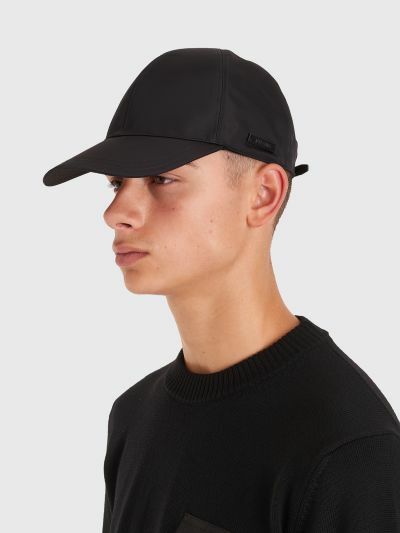 Black hat made in Italy from 100% nylon. Metal hardware. 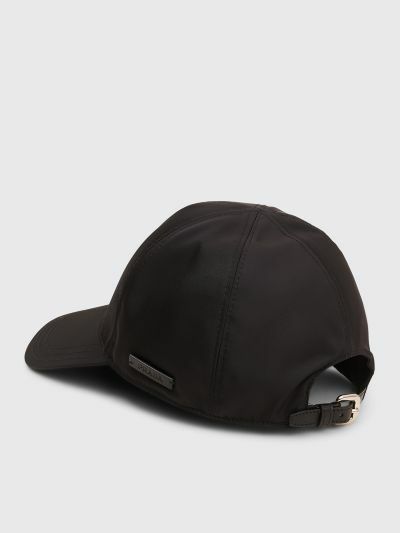 Constructed six panel baseball fit with adjustable back strap.